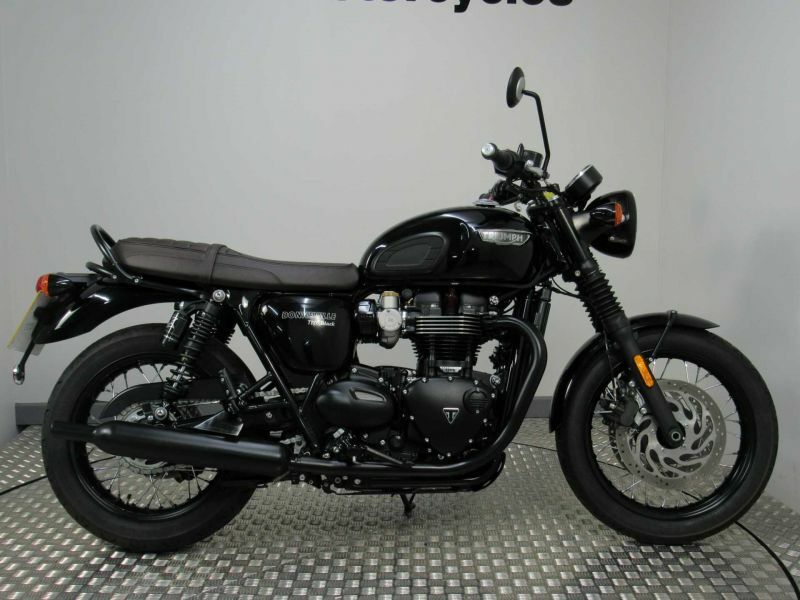 Triumph Bonneville T120 Black with only 912 mls. Please contact a member of our Blackburn sales team on 01254 277122. Accessories include Fox gas shock absorbers. This bike also has heated grips, ABS, Traction control, 2 rider modes, center stand, grab rail, knee pads, fork gaitors, USB charger. We have all keys and documents. This bike is an active demonstrator so the mileage advertised may change slightly.